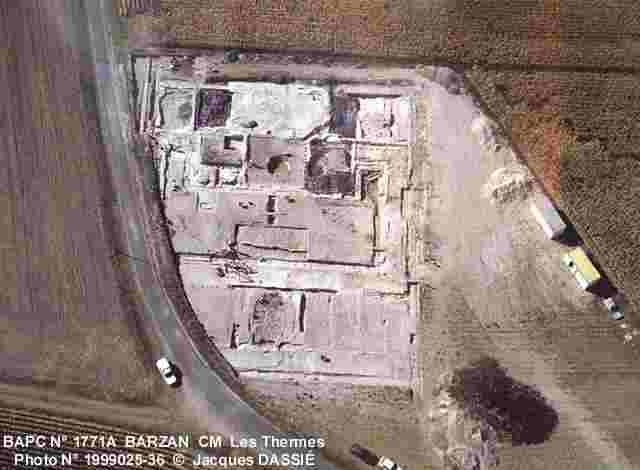 The database and "ARCHEO " (software) were initially conceived in 1985 to receive the results of Jacques DASSIÉ's air archaeological prospections. These results had to be presented in a form equivalent to that of the handwritten card of declaration of archaeological discovery prescribed by the Sous-Direction de l'Archéologie. Thereafter, it appeared desirable to be able to accomodate work of other prospectors (air or ground). Lastly, following a request for various Companies, ARCHEO became a genuine tool of archaeological inventory, multifile, able to manage all types of sites. 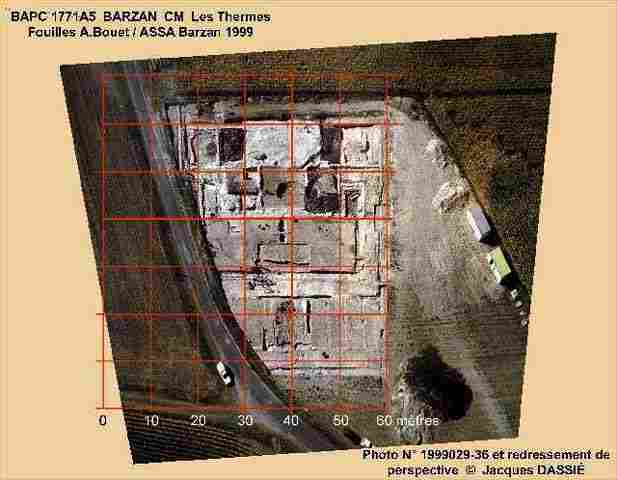 Program ARCHEO and its archaeological files ARCHEO_n are actually used by the Service Régional de l'Archéologie POITOU-CHARENTES, (SRA), as well as within various Archaeological Companies in Charente Maritime, and by various independant prospectors . Program " ARCHEO " is a software conceived especially to manage the archaeological database "ARCHEO" support of the BAPC. Its vocation of editor and manager of archaeological cards enables him to treat the card of declaration SRA, while supplementing it by new information: geology, typology, mailing list, number of edition etc. In addition to normal functions of making up, conservation and restitution of the cards, other more complex functions ensure sorting and multiple selections, thus constituting a powerful tool for analysis and search sets of themes. Comfort and ease of use are much larger with this especially dedicated program. The current version of program " ARCHEO ", with a file of 3000 cards, occupies approximately 150 Mo on hard disk. This occupation is directly a result of the iconography presented. Each image color, full screen (640x480 pixels), 256 colors, requires in compressed version, 50 to 70 KB per image. The station PC compatible will be equipped with a graphics board and a SVGA screen. To facilitate the access to pictures to stations with insufficient space on their hard disk, the BAPC also functions (only in advisory mode) on CD-ROM. FUNCTIONS OF PROGRAM " ARCHEO "
Each organization or person in charge of file can only reach actively (writing, modifications or cancellations of cards) its own file, presented like " active " in the title of the personalized program, this in order to guarantee the full Authors's responsibility. "Passive " functions (reading, selection, multicriterion selections, search for 'commune' (parish)) are carried out on the totality of the files present, in a completely transparent way for the user. We wish for this program the simplest possible and completely conversational use, i.e. the computer dialogues with his user who answers by introducing the data requested. Many tables propose possible answers and provide the necessary thesaurus. A safety system authorize writing on the only file of the holder. From the very start of writing, the program announces the possible empty cards (thus available). The cards can be written in any numerical order. Without particular precise details, the program allocates numbers to be followed (strongly recommended method). At the end of writing, permanent filing on hard disk is automatic. A device checks co-ordinates of the new card and alarm the writer on the existence of former cards, concerning the sites present on a surface of 1 Km&sup2; centered on the position. This one can thus carry out all the checks necessary in order to avoid doubles or triple declarations (shortcoming of many data banks, even official. It can however exist particular cases and the final decision will always belong to the writer responsible for the card. Geographical map 1/25000e (sites being reproduced on the map by 1/2 sheet). Belonging to a geographical surface defined by 2 points Lambert. This enumeration of the possibilities of program " ARCHEO " is by no means exhaustive so much the combinative possibilities of the functions are considerable. It will be noted that combinative of functions is considerable. One will note that these performances are possible from the startup, practically without training, by a user not-data processing specialist. The operating mode of the Archaeological Bank Poitou-Charentes is simple and logical. Designer of the B.A.P-C. and the family of programs " ARCHEO ", J. Dassié reserves the responsibility for management and overall technical coordination. Each creator of file using program " ARCHEO " takes part de facto in the Archaeological Bank Poitou-Charentes. The archaeologists, members of the B.A.P-C., reach the knowledge of the totality of the regional sites taken into account, widening their geographical framework and their vision of the archaeological problems, thus opening the possibility of many new studies. NOTA: With regard to duplication or transfer of photographs, the exploitation of the rights always remains under their author' s exclusive responsibility, protected by copyright. Example : a BAPC file card. BAPC 0136-A Saint-Palais-sur-le-Né (16) "Le Logis". 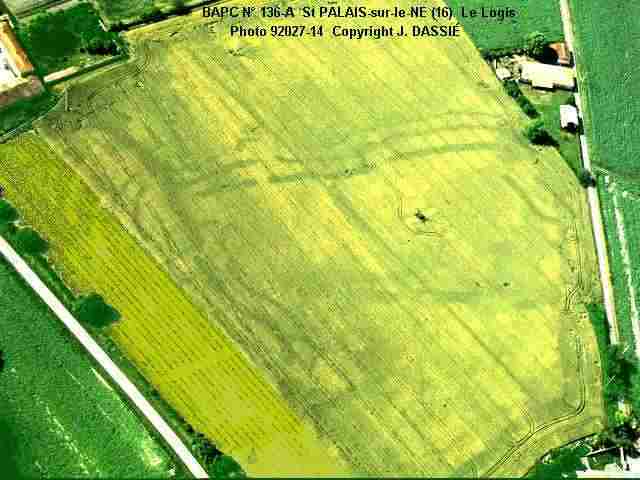 Neolithic enclosure. Repérer et marquer, à la fois sur le cadastre ou la carte et sur la photographie, 4 points de contrôle ou "amers", encadrant le mieux possible la zone archéologique. Sur un calque ou une couche différente, établir un plan, avec le quadrillage Lambert convenable, se superposant bien aux amorces hectométriques ou kilométriques du cadastre ou de la carte. Importer la photographie dans une couche séparée et adaptez son orientation. La placer sous le plan. Rectified photographs : the site's plan became fully orthogonal.